General dentistry services like checkups, cleanings and basic restorations form the cornerstone of good oral health at every age. 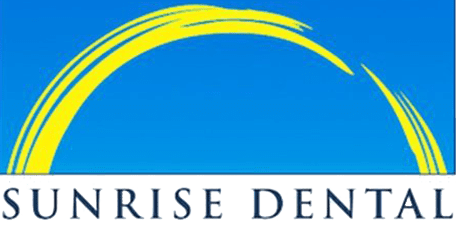 Sunrise Dental of Renton is a top-rated provider of general dentistry treatments and procedures optimized for the unique needs of both adults and kids in and around Renton, WA. What Happens During a Routine Dental Cleaning Appointment? Dental cleanings begin with a visual examination of the teeth and a review of any symptoms the patient may be experiencing. Then the dentist or hygienist will use special instruments and mild dental abrasives to carefully clean the surface of each tooth, including the crevices between the teeth and the area along the gum line, taking care to remove built-up deposits of plaque and tartar where bacteria can hide. Once the cleaning is complete, the patient will receive guidance on how to improve their brushing and flossing habits so they can keep their teeth and gums as healthy as possible and help prevent tooth decay, gum disease, and other serious oral health issues. Mild gum disease can often be treated with more frequent professional cleanings, but more moderate to advanced stages of the disease typically require in-depth cleaning techniques called root planing and scaling to remove bacteria below the gums and around the root itself. Both adults and children should have their teeth professionally cleaned every six months to prevent gum disease and also to look for early signs of disease so it can be treated before serious problems develop. Twice-yearly cleanings and checkups also provide the dentist with an opportunity to look for other issues that can benefit from early care, like tiny cracks or very small cavities that might not be causing symptoms yet. Oral cancer screening is a very quick, simple and painless examination of the soft tissues of the mouth, the palate and the neck area to look for abnormalities like swelling or discoloration that could indicate cancer. If an abnormal area of tissue is found in the mouth, a small sample of cells may be removed for further evaluation in a lab.